I’m very gluten-sensitive (may have celiac) and was considering bringing my own food instead of having to worry about explaining things to servers and chefs. Just thought it would be much easier this way. This information is very helpful. Thanks! We take our own snacks and drinks every time. For a family of 4, I pack a backpack with things like water bottles, juice pouches, Uncrustables pbj sandwiches, baby carrots, grapes, pretzels, fruit/nut/snack bars like Clif, Larabar, or Kind. We might buy a meal in the park, but we easily save $20-30 by not buying snacks or drinks. You can get one Uncrustable in the parks for $5, or a box of 10 of them from the grocery store for $5. We always bring whatever meal we are going to be at the park for. It usually consists of sandwiches, a piece of fruit for everyone and chips. We only allow our 2 children one treat in the park a day. We also bring camelbacks filled with water for everyone. We use our strollers to carry our little cooler. Your comment on eat inside or out is not correct in most cases we are directed that if we don’t have there counter food my family and I can not be seated Pinocchio haus.next to country bears harbor house just a few and if it hot no strollers unless u have a sleeping child. Sarah, all of the restaurants are very accommodating and knowledgeable about good allergens in my experience. Just let them know when you’re making reservations or ordering. I got caught trying to sneak a “regular” straw into Animal Kingdom. Fortunately, it was just confiscated. we have made 4 trips to Disney in the last 6 years and we always take our own food and drinks and have never had a problem. Sometimes we make a trip to subway which is close to the DW property and get $5 sandwiches to share. Each of us has a small backpack to carry our food and drinks for the day. 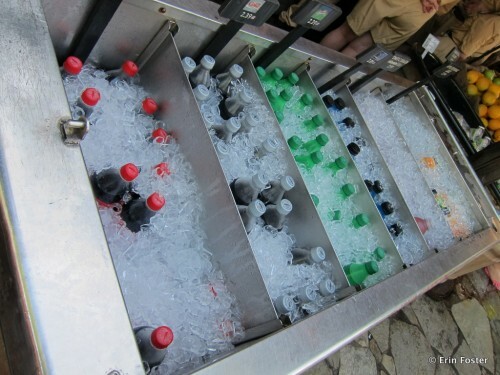 Most of the drink services will provide you with FREE cups of ice and water. We carry aluminum bottles with screw top lids and straws to put our drinks in when we are ready to go ride the rides that way we don’t waste our drinks. We sometimes eat one meal or have a snack each day at the park just to treat ourselves. It also helps to take snacks and then just order meals that two can share. We are never hungry enough to eat a big meal in the heat of the summer which is when we usually go. Food cost is the one thing that you have a lot of control over at DW. You can really cut your trip cost if you plan well. There is a very good reason you cannot take plastic into the AK, the animals! Duh! Stupid to even try! You’ll have no issues with celiac at the parks. Took my Mom a few years ago and she was fine ordering at counter and table services. I once took a friend to Disneyland (California) who has extreme allergies to many foods. Everything from gluten and dairy to just about anything you can think of. And she always hated going to theme parks or even regular restaurants because it’s so hard for her to find anything to eat. I arranged a few reservations ahead of time, along with doing some research on the best places to cater to her needs. I believe City Hall has a list saying which restaurants can handle what. At one place the chef actually came out and talked with her personally. She said everywhere we are was the best tasting food she’s ever had. And she wished she could take it home with her. They even had gluten free bread at one place. She was ecstatic! So allergies are no longer a reason to bring your own food. Unless you’re on a tight budget. I actually recommend giving them a try if you have allergies, because I’m pretty sure you’d be pleasantly surprised at the ingenious alternatives Disney has found. I found a drawstring “backpack” on Land’s End Kids for under $15 (I think it was $12). 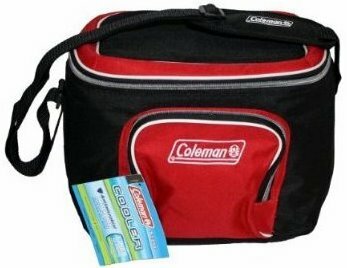 It is a nice size and has 2 mesh pockets just the right size for water bottles. We freeze the bottles and in the morning I wrap them with a bandana and put a plastic bag around them. By the time we need a drink, they are melting and you have cold water. The bandanas soak up the condensation and you can use them to wipe hands or your face or just put around your neck when it gets hot. The pack has a pocket on the outside for things you need right away and plenty of room inside for snacks, your camera or other needs. It is made of strong yet light-weight nylon and when not in use, it folds up and you tuck it in the pocket and it fits in your suitcase. It comes in a variety of great colors. I love it. We always make our own ‘uncrustables’…The tip for making Pb & J’s that don’t have the jelly weep through is to put Pb on both sides of the bread and a little jelly inbetween…we also bring pretzles nuts and raisins in our backpack. You can get a glass on ice water for free from any counter service place but we always bring a water bottle. Then we indulge on a few sharable snacks. I was raised on going to WDW in FL since it opened. Been married 25 yrs and me and my hubby do the same for our kids. When they were 5yrs old,they only took a fanny pack with a frozen water and goldfish and sweet tarts. Me & my husband would carry medium sized backpacks with 4-5 frozen waters,cheese crackers,peanuts,almonds,skittles,fresh wipes,sunscreen,washcloth,deodorant(everyone in q-lines will thank you for that)comb,brush. Sounds like a lot,but do a trial run at your house to see what you can handle. At 7yrs old our kids carried their own kid sized(very important)backpack each.Whew!!! So we all had 2-3 frozen waters,and whatever snacks they wanted went in their own bags.GREAT for q-lines. No more asking parents for this or that! They even took a few books(Kingdom Keepers series-very cool,different take on WDW) We noticed over the years everyone needs their own Spray sunscreen in their own bag(that way they will use it and NOT get burned and it stays in their own “park”bag for 4-5 days. We keep 2 others in our “pool bag”. If you take it out,you’ll forget to put it back in(lesson learned here) Then you have to pay $$$$$in the parks to keep from getting sunburned.FYI here- If flying to WDW in FL ,they threw out all 6 Spray cans at the ATL,GA airport! I about died! We’ve been driving ever since that and also the fact that they charge for luggage. Almost forgot, pack 2-4 small ziploc baggies in your backpacks,they always come in handy. Lots here,but so much more when you cater to your own families needs. It really is the happiest place,making family fun memories the whole trip! Have fun. Not sure if it’s been mentioned, but apparently now ALL resorts have fridges in them, not just the moderates and deluxes. 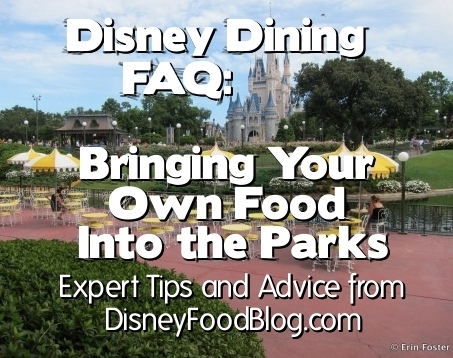 “Am I allowed to bring my own food and/or beverage into the parks? Then why was I not allowed to take food in the Hong Kong park? We are locals so going go WDW is a day trip. 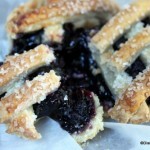 While eating at the parks can be fun, it can add up super fast, especially with a family of 5. On our last visit I packed everyone their own lunch in a bento, along with a couple bentos filled with snacks. We added frozen water bottles and had frozen gatoraid bottles that we left in the van for the drive home. We were all able to eat very well, and no one left feeling hungry. It helped that we went during Food and Wine and were able to get free packets of Craisins and free Ghiradelli chocolates. We were able to spend an entire day in the park without spending any money, and we didn’t feel deprived either. Be warned that I got stuck in security held up by the family ahead of me was bringing in their own lunch which was a loaf of bread and a jar of peanut butter. Their lunch itself didn’t cause the security issue but the knife they packed to spread the peanut butter. So please note that they will not allow you to bring a knife into the parks and it will cause a huge security issue. While on my College Program, I would always suggest that my guests buy little drink mix packets or drink flavoring liquids and bring those to the parks. Any quick service location will give you a cup of ice water for free, as it staves off dehydration. As far as snacks and things go, there is a Publix, a Walmart, and a Target, all a little less than twenty minutes away by car if you happen to be renting or drove yourself. Good luck, all! If you bring in a backpack what do you do with it when you’re on a ride? If you have a large, heavy backpack, then leaving it in a locker may be your best bet. However, bags and backpacks can be taken with you on all the rides at WDW – even the roller coasters. 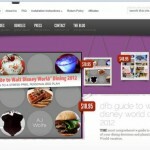 I was just on the Disney website…I’m going to the one in California. And, it says you are not allowed to bring food or beverages into the park. Do they really follow this? or will they let me in with my food? No – they don’t enforce that rule. We go to Disneyland California about 4 times a year. We bring in a soft sided cooler (they don’t allow hard ones) and we bring in sub sandwiches and chips and cans of soda. 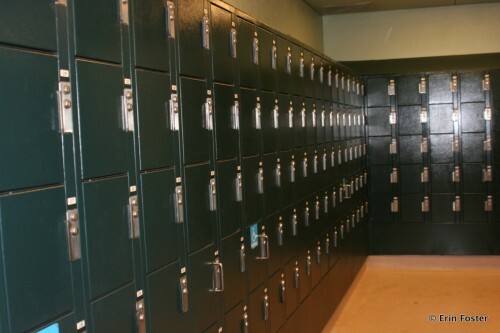 We rent a large locker and store it away. Then at lunch time, we just find a spot to sit and have some lunch. Its really a great way to save money. Bring extra zip lock bags, not for food but for your electronics. It’s A Small World got me one year and Pirates got my son the next year. 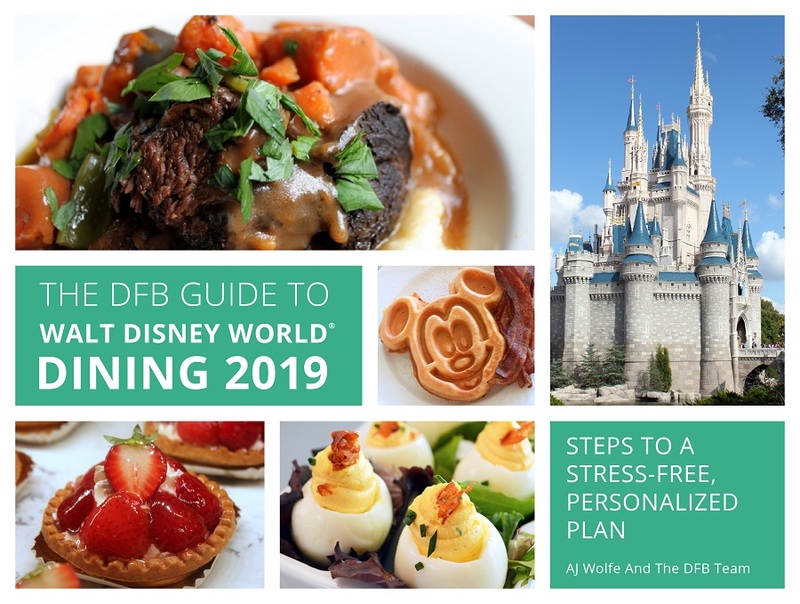 We usually do the dining plan, but we save our ‘snacks’ for the fun disney things like the ice cream. My husband I don’t have kids, so I’ll pack some travel friendly snacks like pringles mini cans and the small bottles of soda for each of us as well as water for me. I am always thirsty and bringing my own drink really helps out quite a bit. 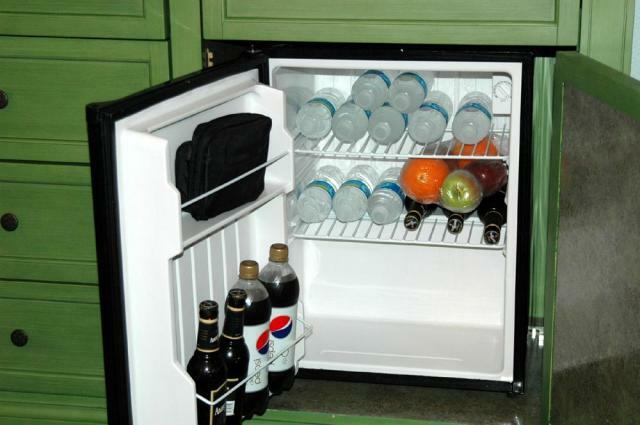 Most of the resort refrigerators do not have freezer sections in them. So plan on not having a freezer section in your resort refrigerator. All the DVC (except one or two refrigerators in studios) have freezer sections. I took my daughter to Disney World a few months ago and stayed at All Star Sports for the first time. As local who goes all the time I wanted to make this special so I started looking at the Disney floral and gifts website for flowers for the room, but I found insulated coolers and a yellow backpack that has a insulated cooler in the bottom. I couldn’t afford a basket that was all made up, but you can do your own custom gift builder. I ordered the yellow backpack and just the snacks and gifts (little stuffed mickey, hidden mickey book, fireworks glasses) I wanted. I also got our family name on it (Thought it was screen printed but was stitched). I made arrangement to have it delivered to guest services at Hollywood Studios. With the personalization and delivery to the park, I spent about $150. My daughter loved it, I didn’t have to buy extra treats and toys, and now we can bring sandwiches and other cold things to the parks. The side pockets hold our water bottles. OK, most of the parks tell you you cannot eat your food in the park but thats not really enforced except at specific times. It’s more of a cover if they need to ask you to move if your take a spot meant for paying customers. If you bring your own food and try to take a spot in one of the restaurants or dining areas you may be ok if it’s not crowded. But if paying customers can’t sit and complain or CM’s see you and it’s crowded you will probably be asked to move. My wife and I have seen this happen a number of times at both DL and DCA so be warned, people that purchase park food expect a place to sit and I’ve seen some of them get very, very vocal with people taking space to eat their own food. to add to this, we too bring food everytime we go. we use a “thirty-one party thermal” to bring ours in. i bring two drinks for my husband and i. i freeze one each to keep in the cooler and use as extra ice packs, as well as three ice packs. i get 1/2 lb of deli meat from publix, some cheese, and a loaf of bread. i also snag a few of the mayo/mustard packets from the deli. i’ll bring a tupperware container of fruits, and one of veggies with a little travel size thing of ranch. 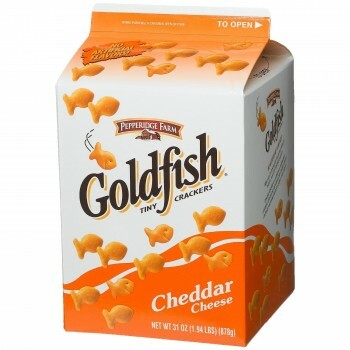 this last weekend, we also brought a couple individual size bags of chips, and rice crispy treats, and a few string cheeses for my daughter, and for her i brought three juice boxes. we leave our cooler in a locker up front at magic kingdom, and come back around 2pmish (we eat breakfast before we come, and keep a drink/snack in the stroller), get our cooler out and set up shop on the sidewalk near the castle so that we have perfect seats to watch the castle show and the 3pm parade. when we’re all done, my husband runs it back to the locker and we continue our day. this saves HUGE money. we were there from open to close 9am-11pm, and we only had to buy i think two or three drinks (normally less, but it was an excruciatingly hot day) and we bought dinner. dinner for my husband, daughter and i was $38. so if you had to do that twice in a day, it gets pricey, and especially if there are more of you. In the past I’ve bought those vacuum sealed packages of tuna that don’t need refrigeration with me. I’ve taken those with bread with me in an insulated lunch bag like I use to take my lunch to work. I go to a counter service place, get a little packet of mayo and pickle relish and make a tuna sandwich. That, some fruit and maybe a few cookies makes a decent lunch. I also bring a water bottle and a small bottle of the flavoring for water bottles so I’m not spending money on drinks. The water bottle can also be refilled from drinking fountains. 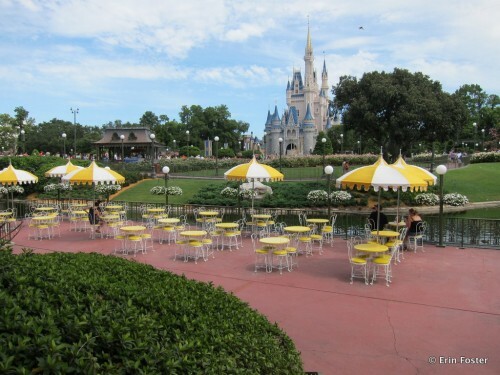 Then when diner comes I don’t feel badly splurging on dinner in the parks. 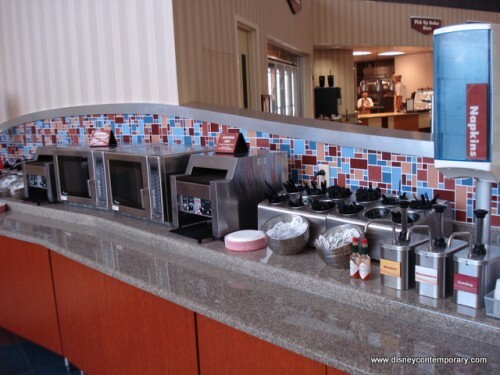 Just a thought…In the Disney Complex you will find a full size McDonald’s. I think it’s located near All Stars,, There is another out of the way place, the service center out from MK has snaks, salad, pizza, hot dogs, hamburgers and coffee = lower than usual prices Disney prices. This has helped so much as I am planning a family trip for November. I was curious about taking the cooler into the parks. If you leave it in the stroller will it be safe? I am afraid someone might walk off with it. Anything you leave in a stroller with no one watching it could be taken. If you want it secure, you can put it in a locker that you rent. On our next trip to WDW in a few months, one of the guest in our party will be celebrating a birthday while we’re there. 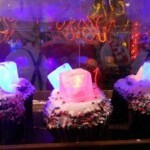 I was thinking about bringing in a birthday cake that day – the traditional two layer cake about 12 inches in diameter. I was going to surprise the birthday guest with the cake, presenting it and eating it outside by some of the benches and tables while we’re walking around – not in one of the restaurants. Do you think Disney will have a problem with this? We took a Boston Cream Cake to Disneyland last June for my wife’s birthday and had absolutely no problem getting it in or eating it. This was a group of 10 people. In fact we had people we didn’t even know singing happy birthday with us! We have the annual passes for Disney and we always bring food from home. What my husband and I do is that the morning we are going to one of the parks, my husband cooks burgers and hot dogs. Once they are done cooking, we wrap them in aluminum foil and it remains warm for the day until it’s time to eat. That way we have hot food instead of plain sandwiches. Everytime we’ve been to Disney we packed our own snacks. We bring cashews,goldfish,teddy grahams,chocolate covered cashews & chocolate candies in ziploc snack size bags,fruit by the foot & fruit gushers. We find this very convenient especially with children. There’s times when we weren’t hungry enough for a full lunch so would snack on our items while waiting in lines for rides. We would eat a good hot meal every evening. We also brought in each a bottle of water and two extras just to start the day. Sometimes we will buy a cup of fruits to share and eat with the rest of our snacks. The kids are real happy when they don’t have to miss their favorite rides just to eat lunch lol. For those commenting on the taste of the water in the parks, I bought filtered sports bottles for Christmas stocking stuffers for my family. We call them our park bottles since it really does help the taste of the water. You can also buy replacement filters for the bottles and the bottles can be used for more than one trip. 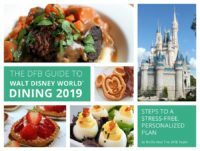 For those concerned about food allergies: I have Celiac disease, and ate at two different Disneyland restaurants while visiting California for a son’s wedding. I mentioned my need for gluten-free food to the waitstaff at each restaurant, and in both cases the chef came out to speak with me, learn whether I was just trying to avoid gluten or had a more serious need (it matters in how carefully the food is protected/prepared), and to discuss menu options. The food was WONDERFUL, and I did not get sick afterward, so they did a pretty good job minimizing cross-contamination. Dining in Disneyland is not cheap, but if you want the experience, the staff is very accommodating to special dietary needs. I’ve never had a problem with leaving the stuff in my stroller and leaving it unattended. However, I have seen some interesting ideas: pour rootbeer into a diaper and leave that soggy diaper very visible in a clear plastic bag near your diaperbag with the food, etc. Nobody will bother anything! haha. We have always taken food and water in with us. We still buy pop and food, but packing helps cut costs and the water is free. Also, recently I purchased a non-refillable (as in no free refills) LARGE souvie cup with coke at MK. Finished the pop and was then done drinking pop for the rest of the day. I was able to get free ice water at any counter service and it was a NICE cool drink. AND I brought it home to use again! Jessica: Aren’t you concerned about salmonella with your still warm food? Warm temperatures are just right for growth of bacteria. Jeanne: What person in their right mind would carry around a dirty diaper when there are trashcans all over the place? That’s just an old trick that no one believes. And it surely isn’t going to stop someone from taking what they want if they want it. It just wastes a diaper. Please be considerate when eating your peanut butter and nuts in the parks. We were recently in the Nemo theater when a family behind us decides to eat, during the show. Our child has a life threatening peanut and tree but allergy. It’s one of the reasons we choose to vacation in Disney. Even touching the back of the bench after you have eaten your sandwich, and them my toddler touching the same spot can spark a reaction. Simply using hand wipes and eating your food elsewhere (not in an attraction) would be extremely helpful! What’s healthy for you is dangerous for us. I have a small thermos to keep food warm. Is this OK? Great topic, thank you! One of our faves for picnic lunch is at counter stop on tom sawyer’s island, which is usually closed but has spots to sit, right on the water. Good choice if not too hot. Great new idea to eat indoors at counter service on hot day, but sounds like best for larger spot such as columbia house upstairs, so won’t disturb paying folks? btw, tried iced water at counter service, free, last trip, and water tasted fine, not like the bubblers. 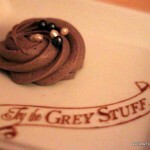 By bringing our own lunch, we feel better about the splurges at dinner sitdown ressies plus one character meal per trip. also, save by having breakfast in hotel room, which also saves tons of time. In response to Megan, this was based off of WDW in Orlando, Fl. For the heating up food, you can only heat for for your child. You can’t bring in a Lean Cusine for everyone and your mother an expect to heat it up in baby care. Little kid meals are fine but if we see a full meal being put in there you would be asked to leave baby care. However, they do have filtered water and would happily let you fill up your bottle. When I am on vacation I buy all my meals and snacks. I add meals into my spending. 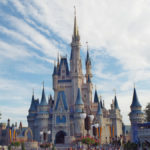 I know it is alot but, I have found I eat less on vacation most of the time as I am busy seeing, riding and other great things in Disney World. I was just at the Disneyland in california and bottled water prices are now $3.29, and 20 oz. bottled sodas are $3.79. A very small lemonade (the pure and simple brand i believe) was $4.79. Definitely worth bringing your own drinks for sure!